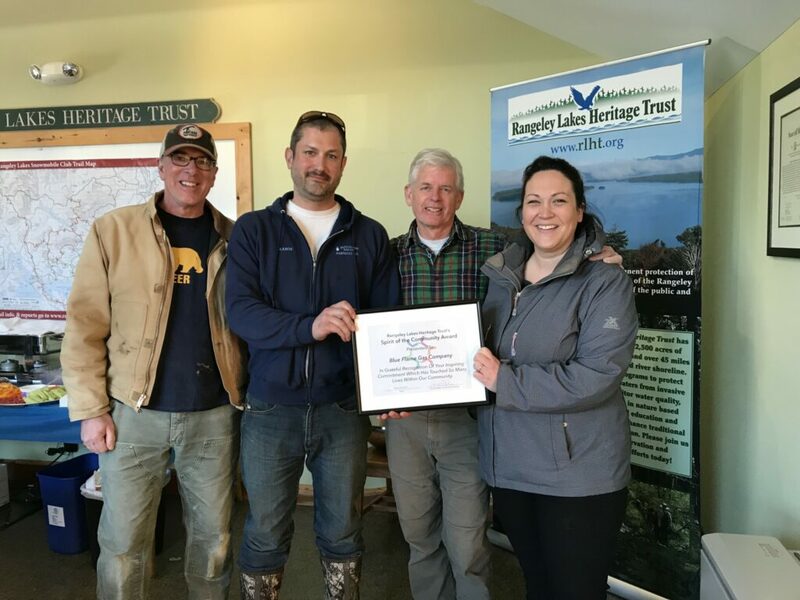 On March 8, Rangeley Lakes Heritage Trust presented Blue Flame Gas of Rangeley with its Spirit of the Community Award. RLHT President, Paul Reynolds, Aaron Vryhof, Meagan Vryhof, and Executive Director David Miller. The Spirit of the Community Award recognizes the commitment of individuals and businesses within our community whose commitment has touched the lives of many within our community. For more information visit RLHT online at rlht.org, on Facebook at /rlht.org or by calling 864-7311.